‘A good beginning makes a good end.’ English Proverb. | Sally says . . . eat, sleep, work, read, play, draw, bark . . . Yes, return to work and “normal” life schedule will definitely make things interesting !! Happy New Year from Pammie and me, good to hear you are doing some serious relaxing. I’m late to wish you the full panoply of warm holiday wishes as I’ve been traveling or preparing for it most of the month. I hope you and the girls have enjoyed some down time! We live in a deep freeze, currently, but — so far — no snow. I probably just jinxed it. Snuggle in and enjoy those puppy naps! This is good ! 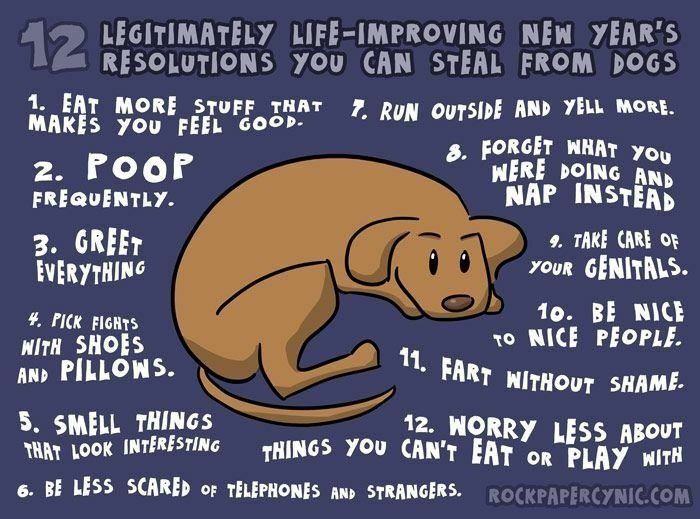 Happy New Year to you and your dogs ! Happy “Year of the Dog” to you and your girls! A happy new year to you and the girls Sal.